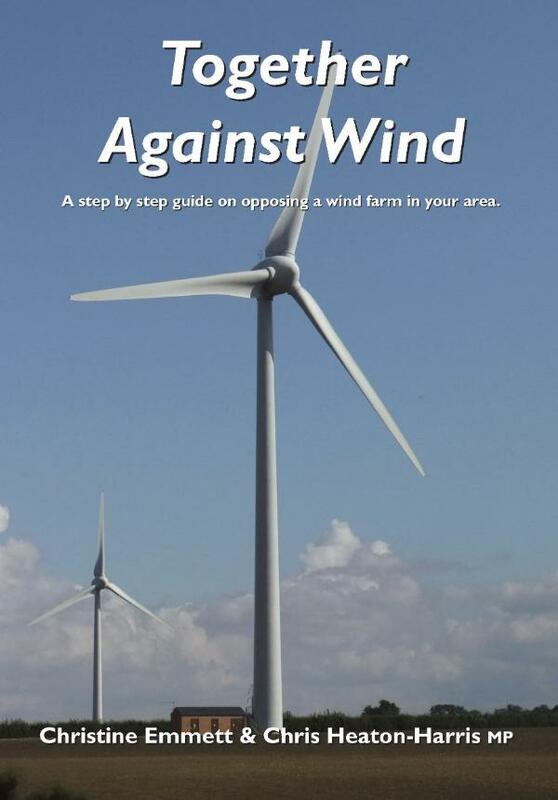 Together Against Wind - A step by step guide on opposing a wind farm in your area. Wind farms are springing up right across Britain, blighting homes and raising serious health concerns. Local residents have felt powerless against the millions that are routinely spent by the big businesses behind the applications that are devastating our countryside. Now help is at hand. In this book two of the country’s most seasoned anti-wind farm campaigners provide a step-by-step guide on how to tackle a wind farm application in your area. From how to react to the first signs of a wind farm, through the organisation of an Action Group and dealing with the media to the detailed tasks required to counter propaganda orchestrated by the powerful and well funded wind power lobby through to checking local bat populations, this book is an invaluable guide to standing up for the rights of local citizens against the vested interests of big businesses and pressure groups. Christine Emmett is an experienced local campaigner and businesswoman who has headed up a number of large scale ventures and who has worked to curb the growth of on-shore wind farms. Chris Heaton-Harris mp is the Member of Parliament for Daventry who has questioned many of the false assumptions about wind power and has proven himself to be a tireless champion of rural issues.